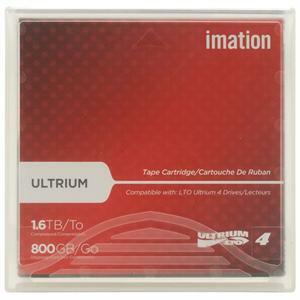 Imation LTO Ultrium Gen 4 Tape Cartridges combine the advantages of linear, multi-channel, bi-directional formats with enhancements in servo technology, data compression, track layout and error correction. 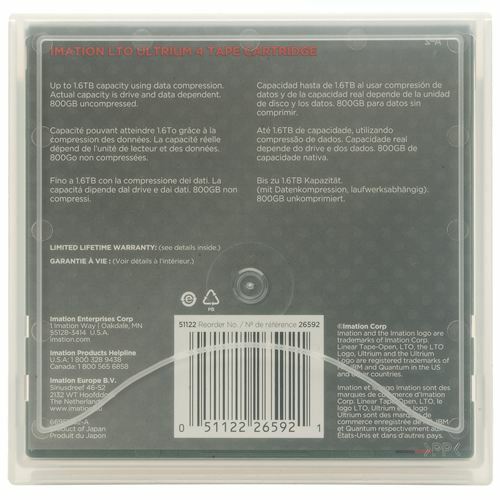 Imation was able to be the first media manufacturer to sell LTO Ultrium Generation 4 Tape Cartridges, manufactured with Imation's proprietary Tera Angstrom Technology. These next-generation cartridges combine the advantages of linear, multi-channel, bi-directional formats with enhancements in servo technology, data compression, track layout and error correction. The result is an exciting new media that delivers outstanding performance and twice the capacity of LTO Generation 3 cartridges. Imation Tera Angstrom technology consists of an advanced metal particulate formulation and manufacturing process. It employs three unique steps: an impingement process, a quiescent drying process, and advanced in-line calendering. These steps combine to create magnetic media with a significantly smoother surface and a high signal-to-noise ratio (SNR), delivering reduced errors and faster transfer rates.